Welcome to my website which showcases my own work as an author and poet, including non-fiction, reviews and essays and work from my other enterprise, Rack Press. You can read extracts from my work in the Poetry, Fiction and Non-fiction sections and hear and see readings in the Audio and video section. and thanks for joining me.. The story begins in 1993 when, after having published poems, articles, essays and reviews in a range of newspapers and magazines my first book was published. Its title was Bruce Chatwin and it was issued by the leading Welsh literary publisher Seren in a series edited by the poet and critic John Powell Ward called “Borderlines”. 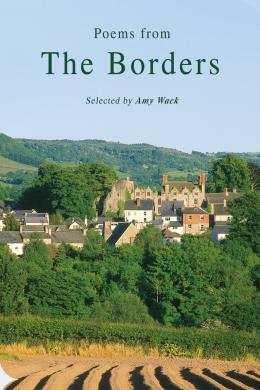 The series was devoted to writers who had a connection with the landscape of the Welsh Marches where I was then living and Bruce Chatwin – then at the height of his fame – was included on the strength of his novel, On the Black Hill. Because of Chatwin’s fame, together with the fact that the official biography by Nicholas Shakespeare would take another decade to appear, my book did very well and had the field more or less to itself for ten years. My first poetry collection, Plausible Fictions, appeared as a pamphlet from Rack Press in 1995 and received several excellent reviews in the poetry magazines. given in 1997 while I was Gladys Krieble Delmas Fellow at the Library’s Centre for the Book. In this lecture I made connections between Arnold’s writings on culture and the current state of British culture. It was the first of several essays and reviews I wrote around this time on the same subject. It won’t be the last. My next book was quite unpredicted (especially by me!). Having produced three intensively researched literary biographies I suddenly found myself wanting to release a more personal and creative vein of writing and so A Short Book About Love appeared in 2001. It was a deliberately unusual book, mixing fact and fiction, and combining three elements: reflections from literature and philosophy on the theme of love, autobiographical passages, and a light-hearted re-working of the Tristan and Iseult legend. It was meant to be light and funny but very serious at the same time and the reviewers seem to have liked this “ludic” interlude. Boyd Tonkin in The Independent said “this multi-faceted little jewel is a reader’s delight” and The Independent on Sunday called it “profound, warm and witty”. The writer and critic Paul Binding said that it was “reminiscent of Kundera and Theodore Zeldin, but owing nothing to anybody but himself”. Following that was a return to biography and Aldous Huxley: An English Intellectual was published in 2002. Jeanette Winterson in The Times wrote the most enthusiastic review: “The research is immaculate…the writing is lively and sympathetic…this excellent biography has come at the right time.” John Gray, in The New Statesman called it “Wonderfully balanced and unfailingly interesting.” It was shortlisted for the Marsh Biography Prize. The last in my current series of major literary biographies, Kafka was published in 2004. 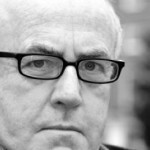 “When Murray quotes from him,” wrote the Independent critic, “you want to rush off and read more instantly. This makes Kafka the best kind of literary biography.” The Times found it, “surely the most truthful available” and the Sunday Times judged it: “Sound, compact, refreshingly judicious.” The book has so far been translated into eight languages. 2008 was Liverpool’s year as European Capital of Culture and since it is my native city I decided to write a book about Liverpool, the writers down the centuries who had described it and responded to it, and my own memories of a 1950s and 1960s childhood. So Spirited a Town: Visions and Versions of Liverpool appeared in 2008. Hot on its heels came my book about the Victorian travellers and explorers, A Corkscrew is Most Useful, marking a slight change of direction away from literary biography towards wider group portraits of a period but still using the biographical approach. In December 2010 my next book, Real Bloomsbury in the “Real” series of books about places was published. I live part of the time in this part of London and so this was a labour of love reflecting my involvement with Bloomsbury over many years. In January 2011, angered by political developments in Britain, I sat down and wrote a verse diatribe in a Burns-like stanza attacking the coalition and called it Get Real!, an ironic injunction expressing the brutal pragmatism of the current political culture. The Times Literary Supplement liked the verse! In February 2011 I published The Red Sweet Wine of Youth, a book about the British Poets of the First World War which attracted excellent reviews and appeared in 2012 in an Abacus paperback. In April 2014 I published another verse satire, Trench Feet, which satirises an ambitious academic who hopes that the centenary of the First World War will give him lots of opportunity for media exposure with his TV documentary on the war poets but in reality he becomes badly unstuck! The Poetry Book Society Bulletin called it a “witty and erudite lampoon” and the Times Literary Supplement called it “timely and razor-sharp”. In June 2014 I was the author of the first title in the new series Rack Press Editions. This was Bloomsbury and the Poets, a short essay-length little book on the poets associated with the Bloomsbury area of London. The Spectator called it “a delight”. Then in September 2015 I had a new poetry pamphlet from Melos called The Secrets of the Sea which incorporated two prize winning poems of 2015. The first was “Walk” which won the 2015 Basil Bunting Prize and “Annotations of Byzantium” which was joint second prize winner of the inaugural University of Roehampton Ruskin Prize. In 2016 my pamphlet collection of poems The Migrant Ship was published and in the same year my Crossings: a journey through borders (Seren) appeared. It is an exploration of borders both literal and metaphorical. My latest poetry pamphlet appeared in April 2017 from Melos and is called A Dog’s Brexit, a return to my satirical/political mode. My poem “The Last Bus Home” was published in The Spectator 13 April 2019. It is a Liverpool poem placed in the 1970s when I was a student. I gave a talk on 20 March at the Century Club on Aldous Huxley and Brave New World. I read with A.C. Bevan and Cathy Galvin at The Music Room in Bloomsbury on 27th March to accompany the launch of Ian Harrow’s new Melos press poetry pamphlet, The Quiet Life. A new anthology of poems from the Welsh Borders is forthcoming from Seren Books and I am pleased to be one of many contributors. A podcast where I talk about Andrew Marvell and John Donne with Julia Copus has just been released on the Royal Literary Fund website. This website is copyright © Nicholas Murray and individual contributors, 2015. No material may be extracted, copied or used in any way without the express written permission of the site owner. Website useage is subject to the Terms and Conditions of Use.